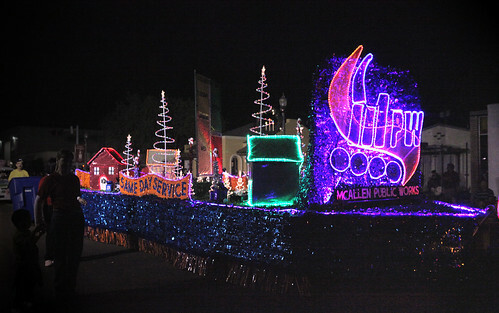 Over 30 years running; Local and long-held tradition McAllen’s Annual Candlelight Posada and Parade. Members from the community as well as out-of-towners gather in the city’s streets to enjoy a time of giving and joy with friends and family. 35,000 guests pack the streets and coastline. All gathered to witness a live nativity procession, Santa Claus and a lit parade involving more than 100 floats. As is tradition, the parade winds down at Archer Park where guests will find three stages for live entertainment.